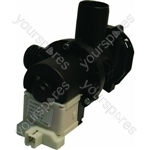 We have a comprehensive selection of Hotpoint Cleaning spare and parts. Choose a part type like or from popular Hotpoint Cleaning models including Hotpoint Air Freshener, Hotpoint CLEANING, Hotpoint Cleaning Equipment, Hotpoint CLEANING EQUIPMENT and Hotpoint DETERGENT. 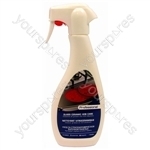 Dissolves all grease in 15-30 minutes and wipes clean Glass Ceramic Hob Care 500ml Genuine spare part suitable for selected Hotpoint appliances. 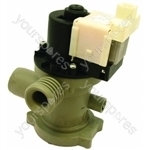 Genuine spare part suitable for selected Hotpoint appliances. This item replaces product numbers: C00271147.Genuine spare part suitable for selected Hotpoint cookers and ovens. 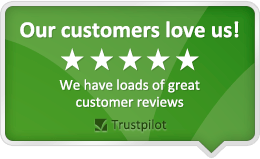 I think the product is good for maintenance of washing machines and dishwashers, but I am not really in a position how good the results of removing line scale are as I have a water softener installed in the house and don’t get any limescale therefore. I just use it for general cleanliness of the appliances. I have just ordered another pair of these rollers as they make pulling out a heavy appliance very easy.